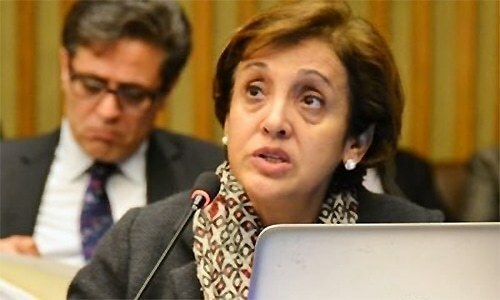 ISLAMABAD: Foreign Secretary Tehmina Janjua will leave for the United States (US) on Wednesday (March 7) on a crucial visit as part of an attempt by both the countries to closely work together in the future. However, the visit appeared low profile since the foreign office did not issue any statement in this connection. Officials privately confirmed Tehmina’s trip and cited it as an important diplomatic voyage. The foreign secretary would brief the Trump administration about the steps Pakistan had taken in the war against terrorism. She would also raise Pakistan’s concerns, which included the presence of anti-Pakistan elements in Afghanistan and the growing footprint of Indian secret agencies in the region with the help of the US government. Janjua’s visit to Washington comes just days after Lisa Curtis, a senior aide of President Trump, travelled to Islamabad in search of common ground in the fight against terrorism, particularly in regard to bringing peace and stability in Afghanistan. The US had adopted a tough policy towards Pakistan since Trump took over the White House. The Trump administration continued to build pressure on Pakistan to do more in the war against terror. The Oval Office recently indicated that it did not wish to abandon ties with Islamabad despite America suspending security assistance and moving the Financial Action Task Force (FATF) against Pakistan. The CENTCOM chief General Joseph Votel said that the military ties between Pakistan and US were not affected by the ongoing tensions between the two countries. Everybody knows Anti Pakistan Terrorists and Indian Intelligence are based in Afghanistan and that’s because of Afghanistan & USA. Those terrorists killed our children. Bomb Afghanistan and stop begging for peace !